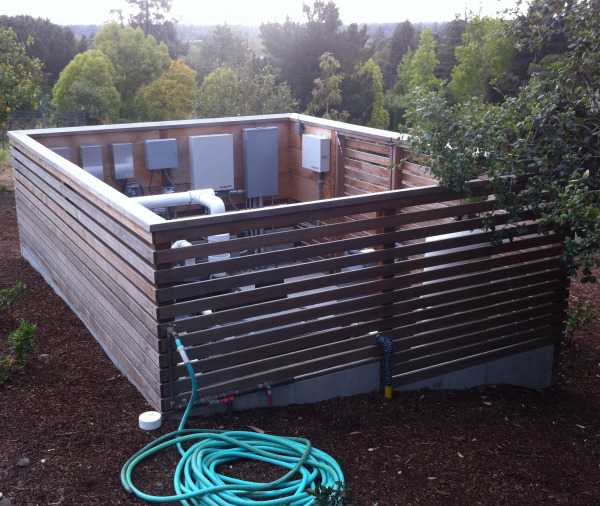 In response to complaints from neighbors, a Woodside, California homeowner installed a combination of Acoustifence and QuietFiber noise barrier materials in the large housing unit that contains a bevy of pumps, pipes, and electrical equipment necessary to run the many features of his mountainside infinity pool. Fig. 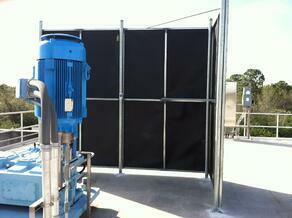 1: Pool pump housing unit and operational equipment before Acoustifence and QuietFIbre Installation. Fig. 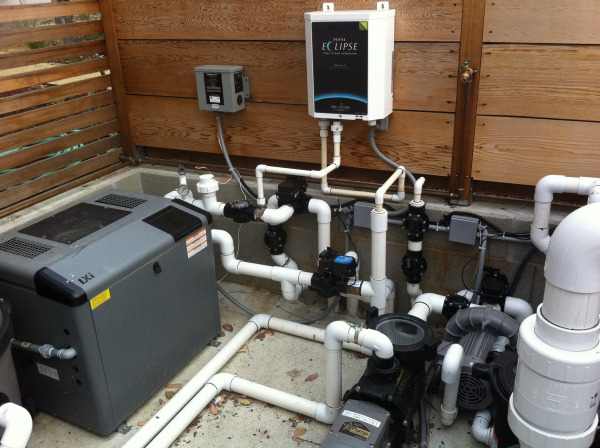 2: Pool pump housing unit and operational equipment after Acoustifence and QuietFIber Installation. WOODSIDE, California, July 21, 2011 – An elaborate infinity pool offers a striking visual in any yard, particularly one with the scenic mountainous backdrop that property owners in Woodside, California enjoy. However, along with such an intricate pool is a complex system of plumbing, pumps, and electrical boxes that can be noisy, particularly in a canyon setting that acts as an echo chamber. 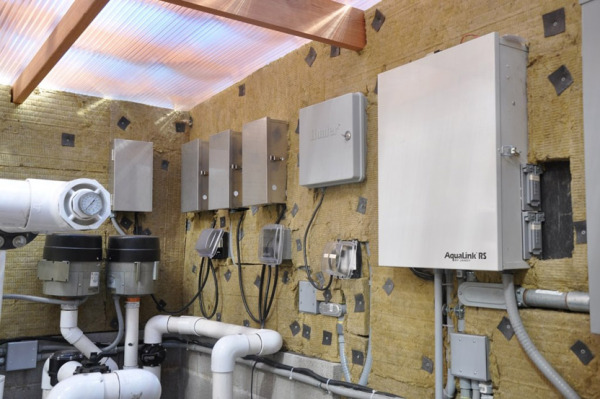 When homeowner Arnon Rosenthal began receiving complaints from his neighbors over the noise emanating from his infinity pool's extensive pump and maintenance system, he contacted Acoustiblok, Inc. to design a noise deadening solution that could be installed in the slatted wood enclosure surrounding the pumps, plumbing and electrical hardware that kept his pool's many features running smoothly. 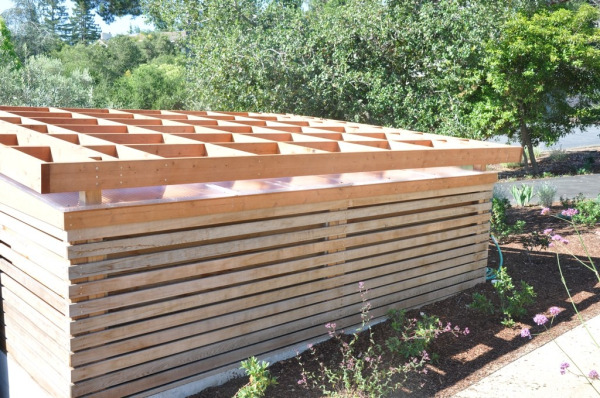 After discussing his options with Jay Boland, an acoustical consultant with Acoustiblok, Rosenthal chose to layer Acoustifence sound barrier material, which was easily hung on the inside of the existing wood structure, with Quietfiber noise absorbing material to block sound escaping to the outside and absorb sound energy within the enclosure. The QuietFiber was sealed around the individual electrical boxes, pipes and pumps for maximum noise reduction. 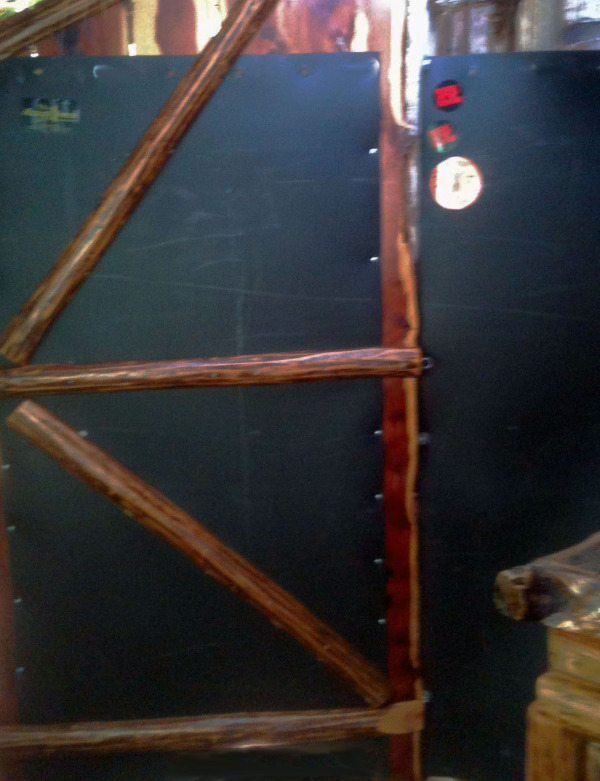 "It worked very well," Rosenthal said of the decision to layer Acoustifence and QuietFiber inside the structure. 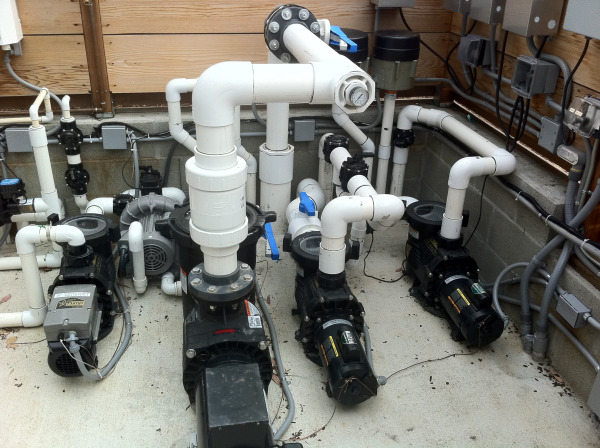 "The pool has many features, and that's why it requires such a large (pump) system. "I'm very happy with the results, I'd say the noise is reduced 65- to 70-percent, and it's no longer a distraction to the neighbors." 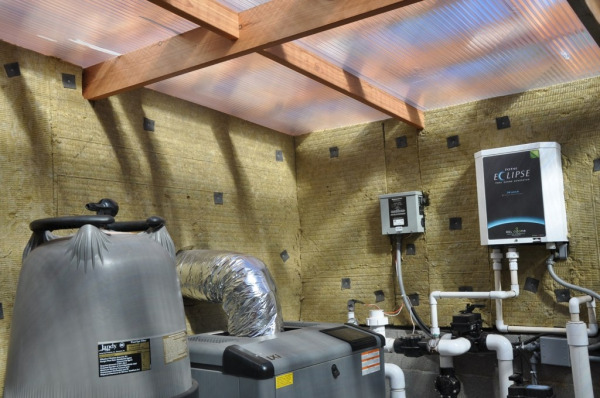 Lahnie Johnson, founder and president of Acoustiblok, Inc., said the decision to layer the Acoustifence and QuietFiber within the pool's plumbing structure is a perfect example of addressing an unusual noise problem creatively. Fig. 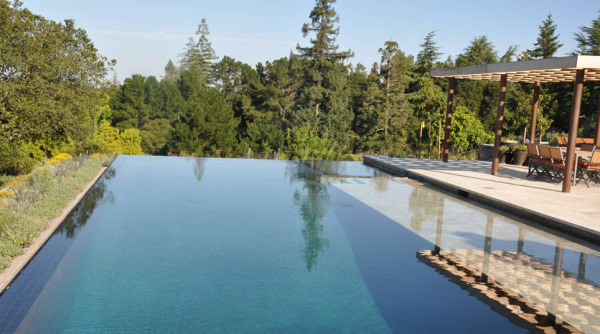 3: This mountainside infinity pool in Woodside, California is now as serene as its setting after Acoustifence and QuietFiber noise abatement materials were installed in the enclosure housing the pool's elaborate and noisy pump, plumbing, and electrical systems. "The noise emanating from the structure needed to be blocked to keep it from distracting the neighbors, but the noise within the structure would have been unbearably loud without the absorption qualities of QuietFiber," Johnson said. 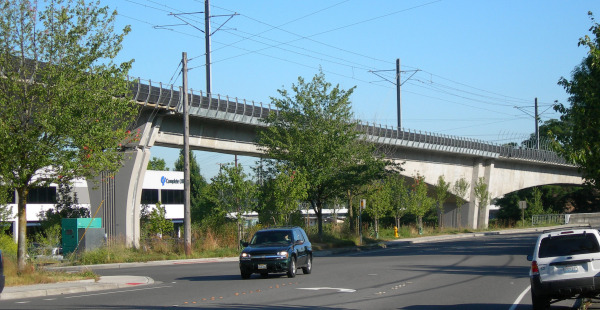 "Combining the two created a noise deadening solution that suited the project perfectly by addressing both problems." 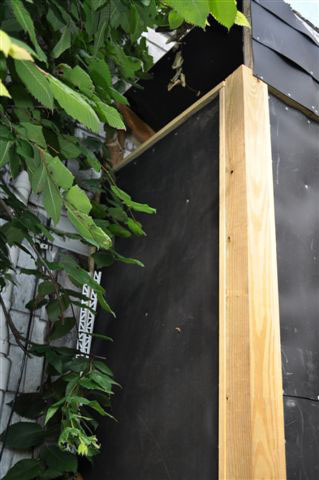 Originally designed for industrial noise, Acoustifence is a 1/8-inch (3mm) thick unique sound deadening material measuring 6-feet (1.82 meters) high by 30-feet (9.14 meters) long with black anodized brass eyelets along the top and bottom edge for easy attachment. Heavy-duty nylon ties are included with each roll. Easily installed or removed in less than one hour, impervious to mold, mildew, and UV, Acoustifence is virtually indestructible. The soundproofing material in Acoustifence is a proprietary formula of the Acoustiblok Corporation, developed and refined over a 10-year period. Unlike fiberglass, QuietFiber is not only UV tolerant, but also totally hydrophobic (will not absorb water or moisture), and specifically designed for maximum (NRC 1.00) noise absorption. In addition, it will not support mold or mildew, and can work in temperatures above 180-degrees. Quietfiber is UL fire rated for floor, wall and ceiling applications, and like all Acoustiblok products, 100-percent recyclable and 100-percent made in the U.S.A.
For more information or to view a video of Acoustiblok's noise reduction capabilities, visit the website (www.acoustiblok.com), email sales@acoustiblok.com, or call 813-980-1400. 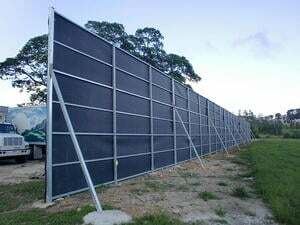 TAMPA, Florida – As any landscape professional already knows, installing trees and vegetation as a visual berm between roadway traffic and residences may be aesthetically pleasing, but these elements are not effective noise control barriers. 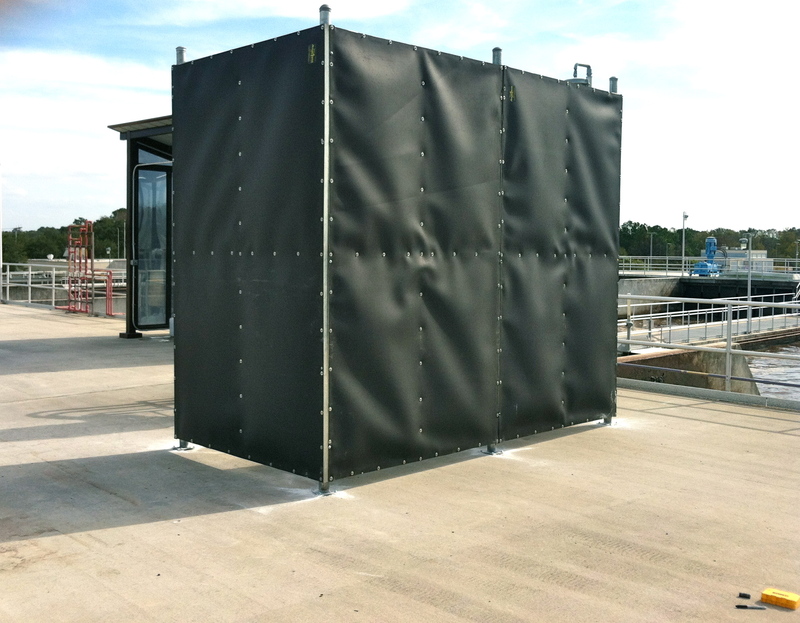 Acoustiblok Inc., a leader in noise abatement for both inside and outside installations, has announced the release of Acoustifence, a revolutionary new defense against outdoor noise pollution. The fact is, foliage or trees on earth berms can actually increase noise. Since sound is dispersed in much the same way as light, it will penetrate and reflect off the foliage in all directions, including that side of the berm that is meant to be peaceful and quiet. 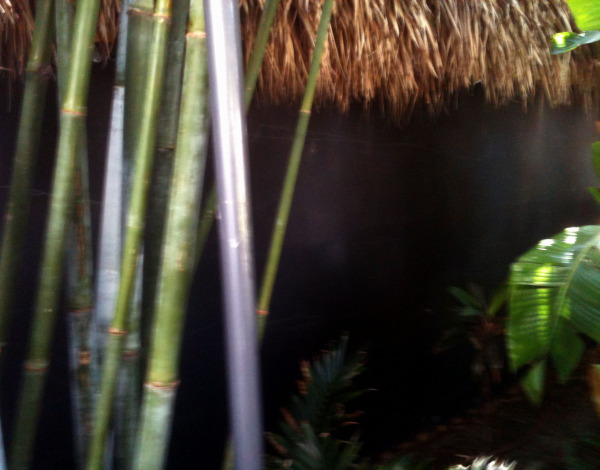 Although the higher the berm, the better the sound deflection, it is far more affordable and more practical to increase the berm height by installing Acoustifence than it is to add fill to the berm. 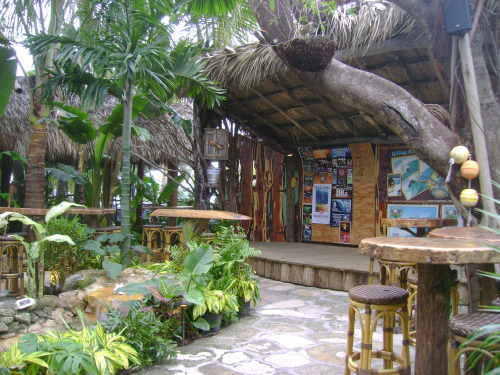 Adding just a six- foot high Acoustifence to the berm not only drastically increases the berm’s blocking protection, it eliminates the sound reflecting off the foliage and into those outdoor spaces that are meant to be serene. The all-weather Acoustifence can be hung from any substantial structure, such as a chain link or wood fence, or from a pipe frame structure. 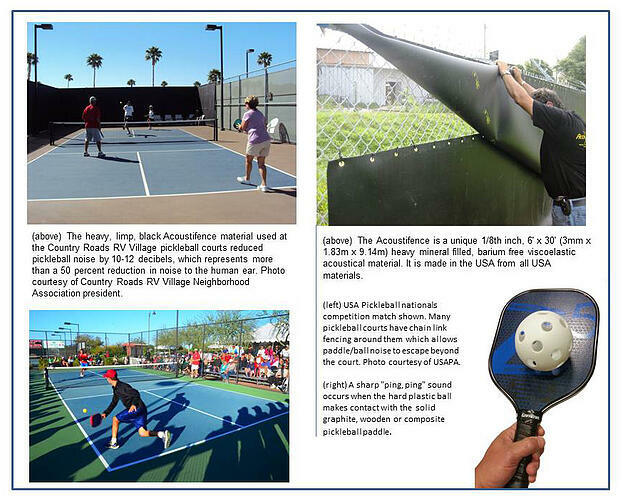 A simple and economical noise abatement solution for both residential and industrial usage, Acoustifence is a 1/8-inch (3mm) thick material measuring 6-feet (1.82 meters) high by 30-feet (9.14 meters) long with brass eyelets along the top and bottom edge for easy attachment to any chain link fence or other framework. 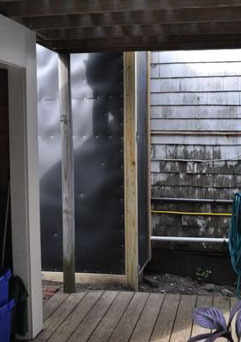 removed in less than one hour, entirely impervious to mold and mildew and UV tolerant, Acoustifence is virtually indestructible, making it a one-time purchase that never needs replacing. 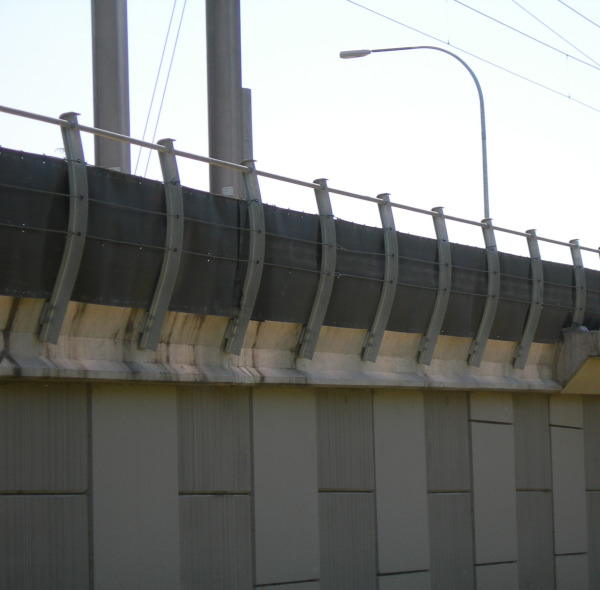 Acoustifence has proven performance in highway environments, construction sites, offshore oil rigs and waste-to-energy plants. 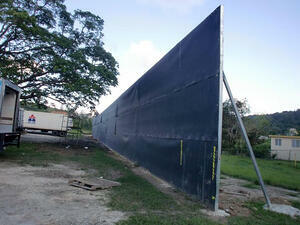 Acoustifence can accommodate any height fence or structure by simply overlapping the Acoustifence panels. At a construction site, it can be attached to scaffolding or the building structure itself. To store, the Acoustifence panels simply roll up like carpet. Independent lab tests of the Acoustifence material shows an STC of 28, which represents to the human ear an approximately 85-percent reduction in sound. 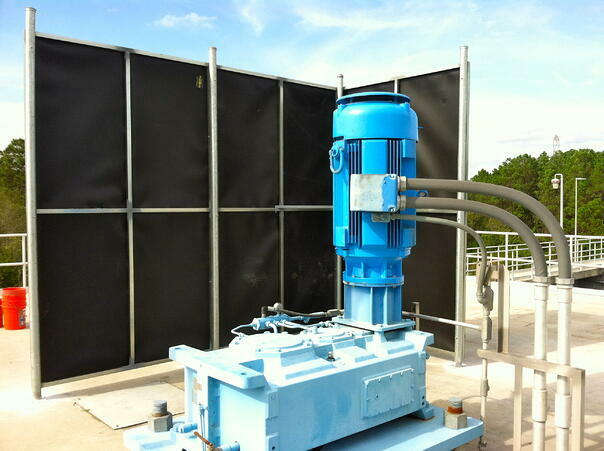 However, results will vary relative to surrounding sound-reflective objects such as buildings, machinery, and industry equipment, and the amount of Acoustifence installed. Acoustifence is 100% recyclable, an environmentally friendly answer to the problem of outdoor noise pollution. Acoustiblok, Inc. President Lahnie Johnson believes the application potential of Acoustifence to landscaping projects is endless.